As part of the continued development of British Triathlons coach education and development programme we have been working on a number of coaching CPD workshops. 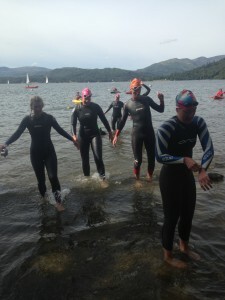 With the continued growth of triathlon and open water swimming, supporting coaches in the delivery of open water sessions has been highlighted as a priority. 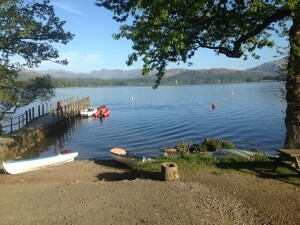 Working alongside Swimsmooth we have developed and piloted a one day CPD workshop. The ethos for the workshop was to make it as interactive and practical as possible, and to deliver the workshop with high quality tutoring and resources to create a supportive and reflective learning environment for those attending. A total of 18 coaches attended the two pilot workshops, one in the North West and the other in the East Midlands. The group were a mix of level 2 and 3 coaches with a wide range of experience coaching, and coaching specifically open water sessions. 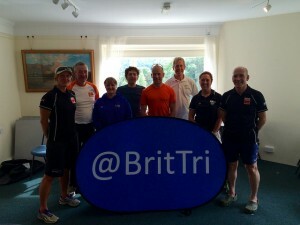 Both workshops were delivered by Emma Brunning, a Triathlon England tutor and the swim smooth Coach Development Manager. The days were split into morning and afternoon sessions, with morning being focused on the what of open water coaching and the afternoon being the how. Meeting the safety team and gaining an insight how to best work with them. The afternoon was all about practical coaching. With the coaches working in small groups to deliver their sessions to a number of swimmers across a range of abilities. To finish the day of the coaches spent some time getting feedback from the group they coached and then a peer feedback and reflection session closed the day off. After the workshop we asked the coaches for feedback, below are some of their comments. Please note these were made anomalously via an online feedback system. Feedback overall has been positive and highlights the importance and value of brining coaches together as this often provides the best learning environment. It has also highlighted the importance of having quality tutors delivering the session. An area that needs further development is the resources provided for the workshop. We are working with swim smooth to develop newer resources that will be spread across online platforms as well as providing better physical resources on the day. The British Triathlon Open Water coaching CPD workshop is due to be launched nationwide from May 2016 onwards. Before we do this we will be doing the following. Developing better resources for future workshops. A mixture of on-line and physical. Train tutors to deliver the workshop. Work with regions to establish venues to run the workshop next year.